The following is the second of a two-part interview with the envoy, excerpted for convenience. 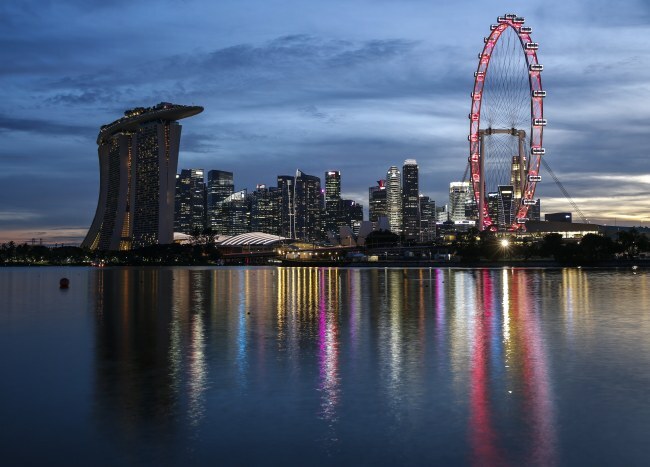 As a small city-state at the foot of peninsular Malaysia, Singapore has blazed a trail through the rough currents of international politics and business over the 52 years since its independence, which it marked on its National Day, Aug. 9. Dubbed the “Lion City,” “Garden City” or “Little Red Dot,” the cosmopolitan metropolis of 5.6 million people has a gross domestic product of $311 billion, or $55,000 per capita, making it the richest Asian country on an individual basis. 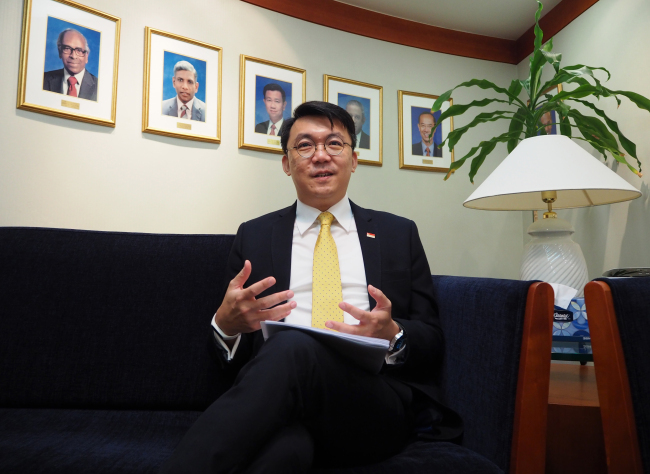 As the Association of Southeast Asian Nations celebrates its 50th anniversary this year, Singapore’s path of nationhood, self-preservation, global engagement, development and welfare can be a source of future-oriented cooperation with Korea in an age of slowing growth, according to Singaporean Ambassador Yip Wei Kiat. Ranging from tackling a low birthrate and declining population to health care, lifelong learning, automation, innovation and sustainable urban planning, Singapore and Korea can join hands to skillfully navigate the capricious, unpredictable global economy in the unforeseeable future, he said in an interview with The Korea Herald at the Singaporean Embassy in Seoul last week. The Korea Herald: What is Singapore’s approach to immigration amid a declining population and low birthrate? Yip Wei Kiat: We have recognized the limitations to bringing in outside workers and immigrants, despite maintaining a very liberal open door policy. Our resident population is about 5.6 million, but the number of Singaporean citizens is around 3.2 million. We have believed that if the number of foreigners exceeds the nationals by too much, it would tip the ethnic balance of our population -- 74 percent ethnic Chinese, 13 percent Malay, 9 percent Indian and the rest a mix of other racial groups. We do have a permanent residency system like America’s green card system, which provides additional benefits and rights for resident noncitizens. Then there’s the whole question of social integration. Newcomers are expected to integrate into the Singaporean society in a way that doesn’t disrupt the overall social cohesion, stability or ethnic balance. The descendants of our ethnic groups have evolved into their new identities and developed new cultural practices. KH: Why does Singapore have such a low birthrate -- 1.24 children per woman -- despite the government meticulously guiding social policy? What is your government doing to mitigate the falling birthrate? Yip: The issue of declining birthrate is a worldwide trend among advanced industrial societies. It happens with development and urbanization, which raises the cost of living and housing. But in Singapore, the issue of housing availability is not the key factor in our low birthrate, as public housing is relatively affordable with heavy government subsidies. We also don’t have such high youth unemployment as Korea. I think it’s more of a lifestyle choice for Singaporeans. Young people have many priorities in life, most importantly building up a successful career before marriage. Men also have to serve in the military compulsorily, starting their career later than their counterparts in other countries. They keep on deferring marriage into their late 20s, early 30s and so on, and by the time they have a successful career, they want to enjoy their life. The situation is similar for women, but as their childbearing years are deferred, they choose to have less children. Therefore getting married and having children is merely one of many lifestyles available to Singaporeans. It is no longer about having a stable job or money. Such attitudes have become normalized over the years, so it is hard to change them overnight despite our government’s efforts to address them. Our government offers incentives and benefits such as the provision of childcare facilities, tax rebates depending on the number of children and education funds, where every dollar a family sets aside for their children’s education is matched dollar-for-dollar by the government. KH: Can you explain Singapore’s health care system, regarded as one of the most efficient in the world? 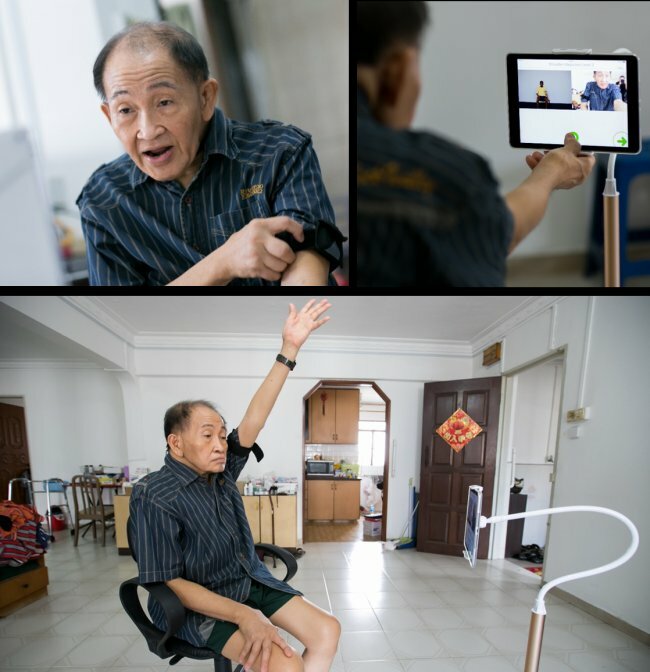 In what ways is Singapore’s health care system designed to deal with the aging population? Yip: As our health care is heavily subsidized by the government, optimizing the use of state resources is important. With an aging population, the principal challenge for our health care has been its rising costs and demand. What we have learned is the type of health care services changes in an aging society, becoming more aligned with the silver industry -- nursing, rehabilitation and physiotherapy, et cetera. 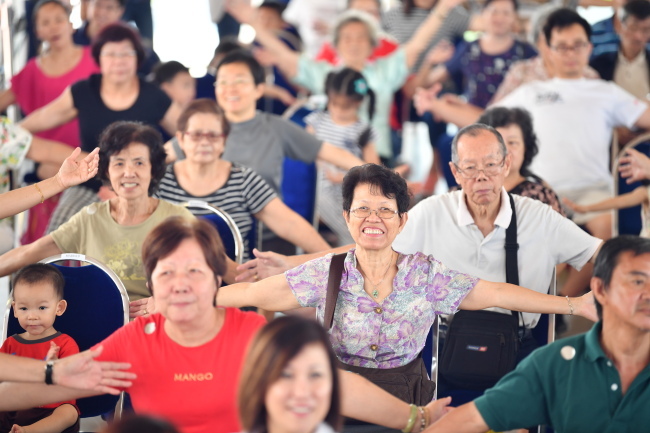 Our active aging policy encourages elderly people to look after their health throughout their life, starting from young ages, instead of aging without care. Our government encourages exercising, having a good diet and developing a healthy lifestyle, so that demands on health care are reduced. It’s ultimately a form of preventative health care aimed at changing people’s lifestyles and habits. We believe for every dollar a citizen invests in himself or herself, two dollars are saved for the state. This I believe is an area of huge potential for cooperation with Korea, also a rapidly aging society. There is a lot of room for creative collaboration between the government, industry and citizenry in this field. For civil servants, the government is obliged to offer re-employment beyond the age of 62 to 65 on negotiated terms, so that they remain active and have financial means for a stable livelihood. It’s a common sight in Singapore to see elderly people working at convenience stores or fast food retailers as cashiers or waiters. KH: Singapore’s universities and educational institutions are well reputed for their academic excellence and practical programs leading to innovation and good employment. What is the secret behind their competitiveness and pragmatism? Yip: As Singapore doesn’t have many natural resources, human resources have been the only means of creating a prosperous society. With our heavy emphasis on meritocracy, education has been the key formula for success for everyone. It has been regarded as the means to taking advantage of wide-ranging opportunities in life. Education has been a leveler for everyone regardless of their background, a means to social mobility and maximizing one’s potential for a better life. We tailor education to equip people with the necessary skills for employment. No talent can be wasted from such shortage of labor. The paradigm has shifted from academic, theory-based learning to practical, skills learning. It’s about both what is taught and how it is taught. Summed up as the “skills future,” the buzzword nowadays in Singapore is about mastering the necessary skills required in an industry rather than chasing after paper qualifications. Your alma mater doesn’t necessarily guarantee you a job, but having the right skills does. Students work with industries, government and schools and try to figure out what industry they should work in and what skill sets are required. Internships are widespread and highly useful. It’s also beneficial for companies to size up future employees. An internship provides school credits, and is not about doing menial work like photocopying. Interns learn the actual skills required for their real job. There is a lot of cross-disciplinary training in education as well. For example, an architecture disciple learns not only architectural modules, but also engineering and design, so that when it comes down to an actual project, he or she can better understand other professionals’ perspectives and collaborate with them. Another major focus is lifelong learning. People keep learning throughout their career to keep pace with the economy that is constantly evolving technologically and innovatively. In this age of automation, people have to acquire new skills and knowledge constantly. More fundamentally, it’s about having the mindset and attitude to want to learn all the time. Learning and doing go hand in hand, rather than one following the other. There are many educational exchanges and partnerships between Singapore and Korea, from elementary school to university and research institutions. Many Singaporean students and teachers come to Korea on vacation, and the numbers are increasing every year, with more than 1,000 Singaporean university students coming to Korea annually for summer programs. Many Koreans also go to Singapore to take advantage of our bilingual programs offering English and Mandarin education. Our dual-language education policy ensures children starting from kindergarten learn English and another language of their ethnic background, be it Chinese, Malay or Tamil. 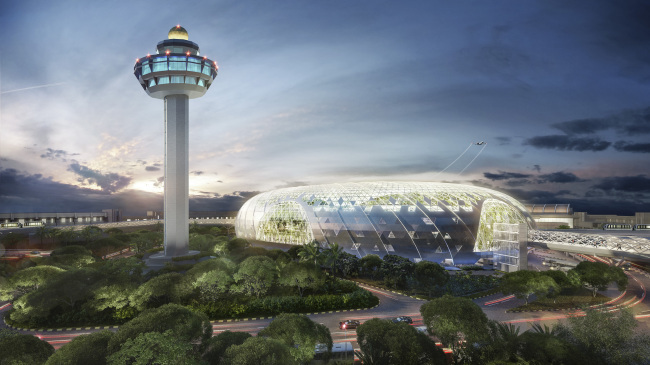 KH: Singapore has been among the world’s most successful in urban planning, development and management. How does urban governance work and how can Singapore and Korea cooperate in the green growth paradigm of the future? Yip: Singapore being a city-state, we don’t have as many layers of government as other countries. Singapore’s administration is divided into five regions with their own mayors, who are not full-time mayors but simultaneously have a government appointment. The mayors work with local town councilors who manage the affairs of estates and provide day-to-day municipal services. The advantage of our system is that national policies get filtered down and implemented much quicker and in a more cohesive manner. There are different channels through which citizens can participate in the city’s affairs. 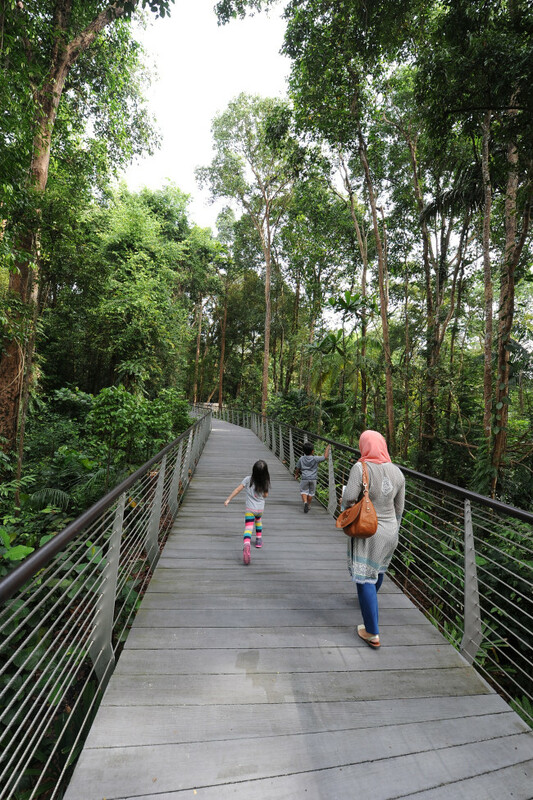 Through formal channels set up by the Urban Redevelopment Authority (the national urban planning authority of Singapore), they can give ideas, suggestions and feedback on various projects. Furthermore, people join the Residents’ Committees -- introduced in 1978 to promote neighborliness, racial harmony and community cohesiveness among residents within their Residents’ Committee zones in Housing and Development Board estates -- and give inputs regarding their precincts’ safety and physical environment to members of parliament or town council. Then we have the “Meet-the-People Session,” a series of weekly one-to-one meetings between elected members of parliament and their constituents. All parliamentarians devote one evening per week to meet their constituents and listen to their concerns. All our ministers have a Facebook page or other social media account, and even announce their policies through them. Things we have done well in an urban context are public housing, water management, public transportation and reduction of carbon footprint through green technologies and processes. We have launched citywide pilot projects in rooftop gardening and farming and as well as vertical farming. The greening of rooftop also helps cool down the building and city. Virtually all of our energy is produced from natural gas power stations, with the gas imported from countries in the region. Our natural topographic conditions are not ideal for renewable energy, but our storage technology for renewables has improved a lot. As Southeast Asian economies develop and expand over the coming years, their appetite for energy, particularly renewables, will increase exponentially. This will present vast opportunities for collaboration with Korean companies, research institutes and government agencies. 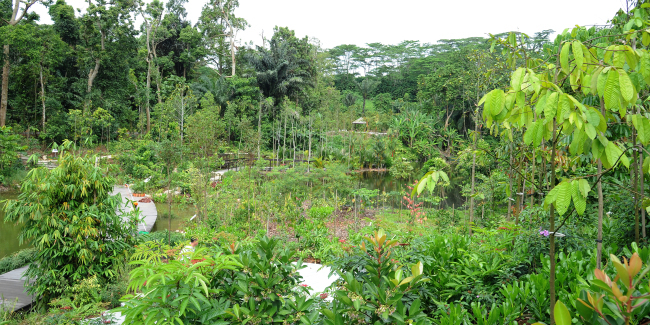 One partnership already in the works is between LS Industrial Systems, a Korean electric power solutions provider, and the government-funded Energy Research Institute at Nanyang Technological University in Singapore, to build a microgrid system for renewable energy on Semakau Island in southern Singapore.